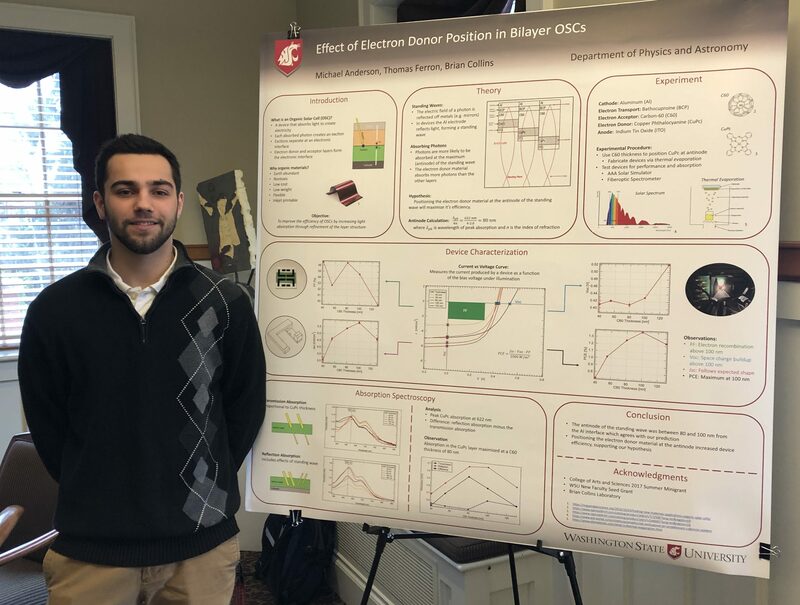 Undergraduate Seniors Michael Anderson [pictured] and Zachary Croft presented their thesis projects at the WSU Showcase for Undergraduate Research and Creative Activities (SURCA). They each put together a poster summarizing their findings and submitted their work for formal judging in the competition. Out of more than 250 posters, Michael Anderson won one of only 3 Engineering and Physical Sciences Crimson Awards – the highest award possible, which included a $300 prize. Congratulations Michael!